I almost always have good intentions to follow our meal plan, but occasionally time slips by before I start prepping for dinner. The worst is when I forget to pull meat out of the freezer to defrost. Other nights I am just plain tired. My head hurts, my back aches, and everyone is in the beginning stages of being hangry. On those nights I don't want to cook. 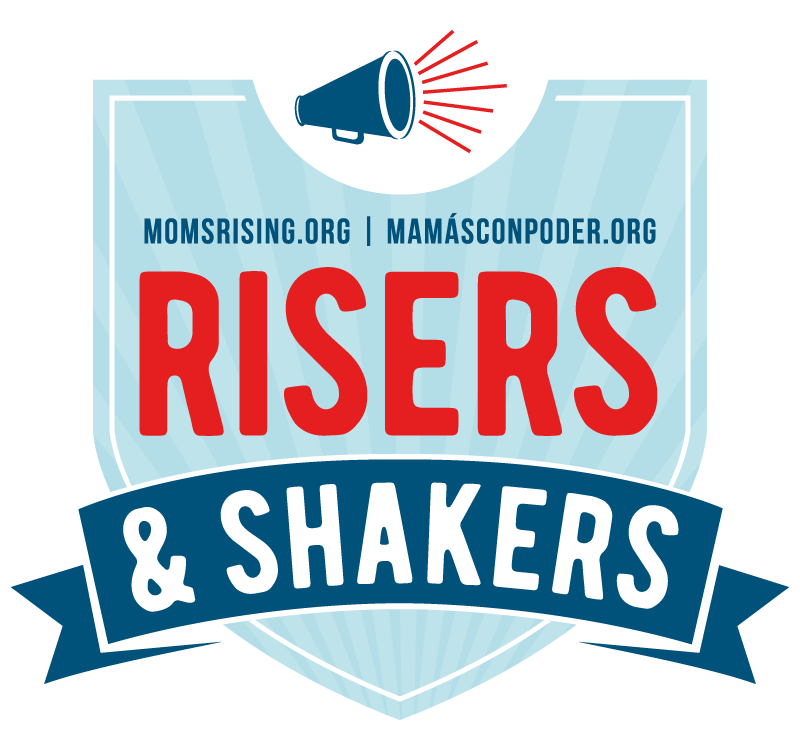 While dining out or having food delivered might seem like a good idea, it's usually not. It's more expensive. It's not any quicker than cooking. And the kids don't always eat it either (despite their excitement to eat elsewhere). Sure, a break now and again is fine – heck, it's deserved! – but I try to keep a few quick and easy recipes in my back pocket. (Literally, because I pin food all the time and keep my phone in my back pocket.) Every busy cook needs a few simple, yet mouthwatering meals that are ready in about 30 minutes. You're going to LOVE how easy this is. Seriously. Are you ready? This post contains affiliate links. Printable recipe available below. Add honey, crushed garlic, soy sauce, pepper, and cornstarch in a skillet. Stir for five minutes over medium-low heat. Mix the chicken pieces in well with the honey and garlic mixture. 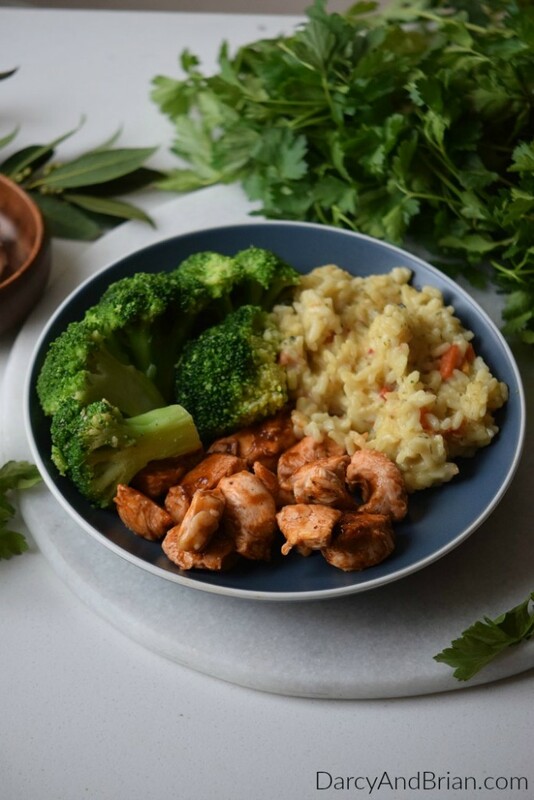 Serve and enjoy with broccoli and rice! 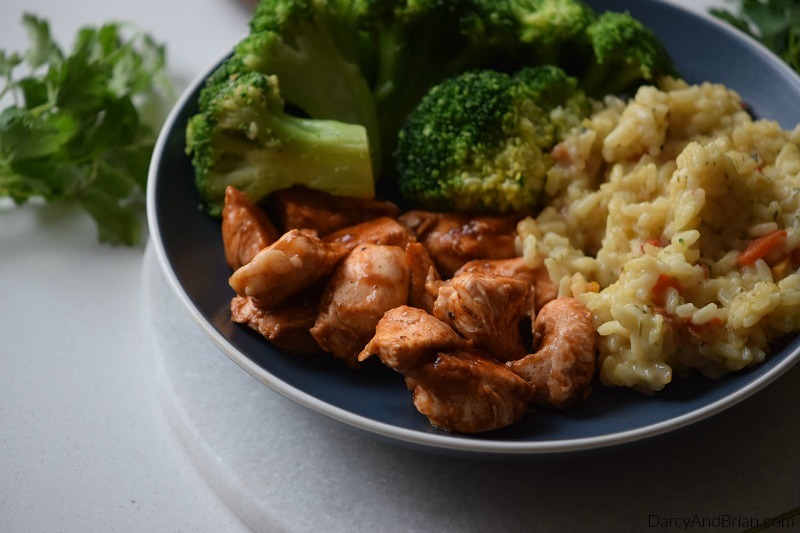 Delicious honey garlic chicken served with a side of broccoli and rice. In a skillet over medium-low heat add honey, crushed garlic, soy sauce, pepper and cornstarch, stir for 5 minutes. Cut the chicken into bite sizes pieces and add to the skillet. Mix well with the honey and garlic mixture. 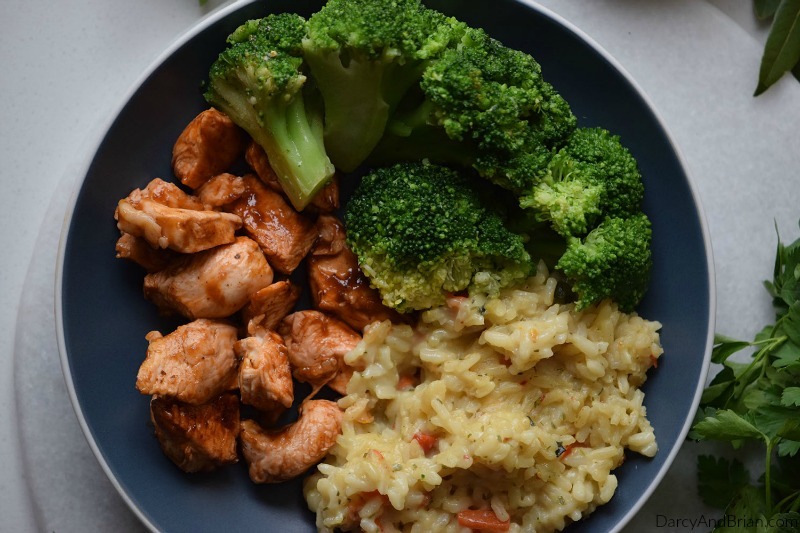 Divide into dishes, side with broccoli and rice. If you happen to have leftovers, try the chicken in a wrap for lunch the next day. Want to kick up it a notch and make it a little more spicy? Try substituting the black pepper for crushed red pepper. 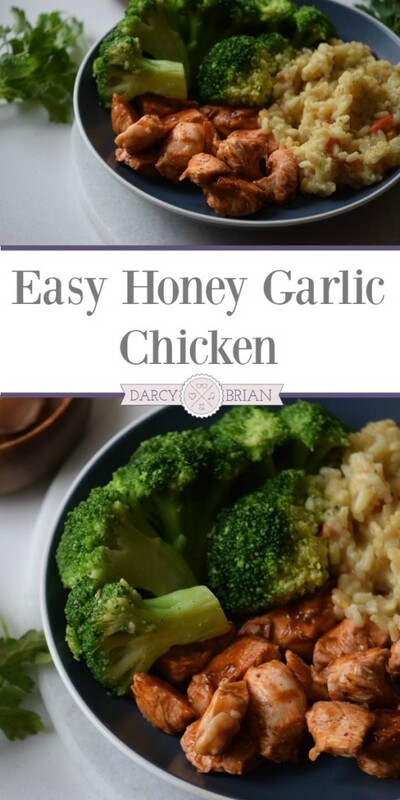 We hope you enjoy this Honey Garlic Chicken recipe and find it's a great dinner solution for busy weeknights! Quick and easy has my name written all over it. Thanks for the recipe. I’m not sure what I did wrong, but I doubled the recipe because it sounded so delicious, and it is currently cooking on the stove, but it is a gummy, nasty mess and I think I’m going to have to throw it away. 🙁 I’m hoping that it just needs to cook longer, but it looks nothing like your picture and I have a feeling it’s going to go in the trash. I’m sad. I hope it ended up turning out for you. I have not doubled the recipe before so I am not sure how much the cooking time varies when doing so. It sounds like the cornstarch may have thickened the sauce up too much.